The school in Yelm had started as a log cabin, but was eventually replaced by a wood frame building. This structure was east of the major crossroads in Yelm. This school, in the 1890’s, became so crowded that some classes were held in the cloak room. Eventually the primary grades, first through fourth, were held at the home of Mrs. Anna Coates. A new school was constructed around 1899. The Story of Yelm provides an account of this new school built at the site of the current Yelm Middle School (corner of Yelm Ave. and Edwards St.). Eventually, a new building was erected, but on the present site, which act caused some opposition in the town. This two room building was later enlarged to four, and the shop annex was used as a classroom before the new High School was created in 1920. The school site may have been unpopular at the time because it was located beyond the railroad tracks in west end of town. This is, however, is mere speculation. This building served as the Yelm grade school until it burned down in 1932. 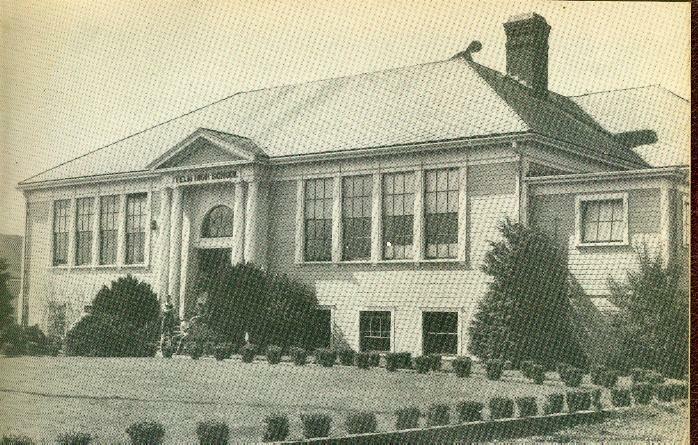 The opening decade of the 20th century provides our first visual glimpse of the school in Yelm. The first of these photos, later reprtined in the Nisqually Valley News, is from 1903. The caption locates the school at the original site east of the crossroads, which calls into question the memory of some informants that the school had moved by 1899. The teacher is identified as Miss Hart. The list of salaries for this era places an Annie C. Hartt at Yelm from September 1902 through March 1903. The door behind the students appears to be a single door, different from the double doors found in subsequent photos of the school. This, if true, would mean it was taken at the original school. The students in the picture appear to range from five or six to the mid teens. The second photo is of grades 4-9 at what is certainly the school at the current middle school’s site. This photograph was found in the Yelm High Library and is identified as being from the 1908-09 school year, the first year in which a 9th grade classes was added. Notes with the photo state that Dan Cook, Alice Hughes, Vera Chambers, and Ruth Hawley were the first 9th grades taught at the school. The teachers in the picture are Miss Hattie Hawley and Miss Clara McKinzie [sic]. Salary records place both of those teachers in Yelm during the 1908-09 time frame. The photograph is labeled as being for grades 4 to 9. This would imply that there were other teachers for the primary grades. However, the students in the photo appear to range from young to high school, implying this is a photograph of more than grades 4-9. Records only record two teachers at the time. This third picture from the decade is from the Yelm City Hall. It is identified as being from 1911. The teachers in this photo are identified as Miss Lillian Natrous and Mr. White. D.R. White and Lena Watrows (this could easily be Natrous) were indeed teaching in Yelm, he for $75 per month and Lena for $65 per month. Two thirds of the students appear to be female. The first senior class was graduated in the old building and boasted four members, Helen Hettrick, Katie Hughes, Stanly Price and Haney La Blanc. This was in 1915. The second graduating class had but two members, Mary Eddy (Chown) and Frances King (Smith). J. C. Conine wrote in 1917 that there were 120 scholars attending the Yelm High School that year. (He must have meant 120 for the entire district) The new high school building was dedicated in 1920 (another source states 1917) with the first senior class graduating from in that year. This building burned in 1941. Hazel Price passed the 8th grade state exam at Willow Lawn Grade School out of Yelm and entered Yelm High School the first year it was held in the grade School at Yelm, about the fall of 1910. She and May Robinson drove their old horse and buggy to school each day. There were only the first two grades of high school at Yelm for several years so if you wanted to continue you had to go to Olympia or Tacoma. 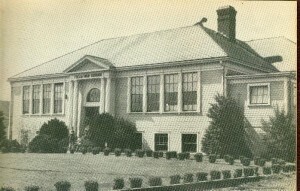 In 1900, the Yelm School District was one of numerous schools districts in this area. The Board of Directors had placed a 1 mill levy to the vote of the district in 1901. In 1909, the school district estimated that they would be spending a little less than $1,500 for the coming year. Nearly four-fifths of his was for teacher salaries. Men and women desiring to become teachers had two avenues to certification. One was an education at a normal school and the other was through testing. Teachers were governed by state rules and regulations. Many of the issues will seem familiar to teachers of the current era.